Papa's Tomato Pies is located at 19 Robbinsville Allentown Road in Robbinsville, just east of Trenton. As exciting as it is to book reservations at one of the swankiest new restaurants in town, there's something incredibly satisfying about eating at an establishment that's crossed over into the realm of an institution. Philadelphia lost one of those restaurants last year when Little Pete's, the 24-hour diner that stood in Center City for nearly 40 years, shut its doors with a block party. (We're lucky that there's another Little Pete's near the Art Museum, but there's no place like the original). Retro-style diners aren't as hard to find as other vintage restaurants, especially when you can always look up the nearest Nifty Fiftys. Locating a throwback takes bit more local knowledge, poking around for reviews and word of mouth recommendations. The editors at The Daily Meal recently produced a list of what they consider the best "Old-School" restaurants in the United States—and one of them is just up I-95 in New Jersey. "Something about dining at a classic old-school restaurant, be it an old Italian red sauce joint, a legendary fried chicken shack, or a classic burger joint, can be a soul-nourishing experience," the editors wrote. "Whether it’s your first or 50th time there, setting foot into a restaurant that’s seen decades upon decades of history connects us to a deeper culinary heritage, and also gives us a glimpse into how we ate way back when." 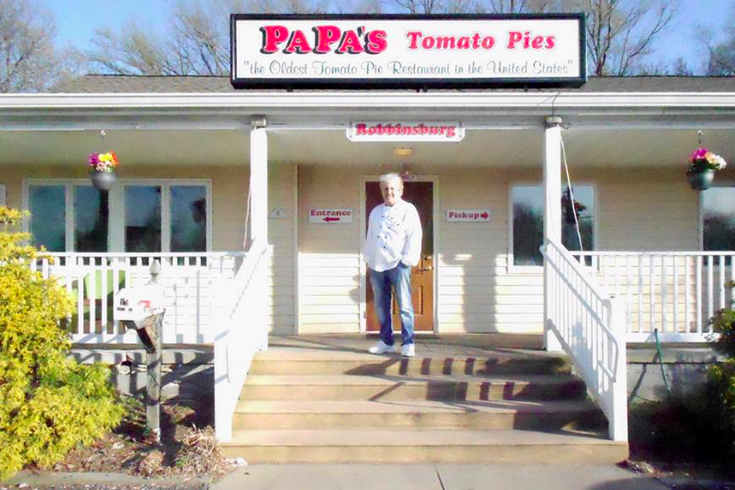 While Philadelphia didn't get any recognition on the list, Papa's Tomato Pies in Robbinsville — just east of Trenton — earned the old-school distinction for a family tradition stretching back more than a century. Founded in 1912 by the ancestors of owner Nick Azzara, the restaurant is considered the oldest continuously operating family-owned pizzeria in the United States. Here's what The Daily Meal had to say. For Papa’s, the family behind the pie is just as important as the slice, as the recipe has been passed down through generations. The Azzaro family cooks up the made-to-order pies that can be customized in a variety of ways. Customers can choose from everything from garlic to mushrooms and pepperoni to meatballs, or add some anchovies for the extra kick. From the ranch-house look to the stained glass ceiling lamps, Papa's Tomato Pies has the atmosphere to match the tried-and-true pizza formula. To note: A Trenton tomato pie is not the same thing as a Philadelphia tomato pie, which is cut up into rectangular pieces and served at room temperature. Trenton tomato pie ... is more recognizable as a Neapolitan pizza derivation. It’s round and lightly topped with mozzarella and tomatoes. Unlike contemporary cheese-laden pizzas, Trenton tomato pie puts crushed tomato on top of a gentle layer of low moisture mozzarella. Each purveyor has a slightly different take, but all versions are dense and crunchy without the characteristic flop of a New York slice. That mean it's worth it for Philadelphians to make the trip up to Trenton. No, you can't just get this pizza anywhere in the area. Check out the rest of America's best old-school restaurants here.